If you're like most people, you are actively searching for ways to whiten and brighten your smile. It’s one of the fastest ways to improve the way your smile looks and increase confidence. Whitening is a great option for many patients, but there are varying methods available to achieve results, and your cosmetic dentist in Mentor OH can help. When your teeth are whitened by a professional like Dr. Greenfield and Dr. Thomas, they can appear brighter and more vibrant in less time. The whitening solution we use is stronger than the kits you buy for home use. It will also be used with a heat lamp or light which brings more dramatic results. Keep in mind that most insurance plans don’t cover whitening procedures, so this option will be cost effective. • Whitening Gels or Strips – These peroxide-based products are available over-the-counter and are applied to your teeth. They normally come as a thin strip or you’ll receive a brush for application. Most often, you’ll use them once or twice a day for up to a couple weeks. • Tray-Based – You can either get this from our office or as an over-the-counter product. To use, just place the peroxide gel in the tray and then wear it for about an hour. This can take up to four weeks before you feel satisfied with the results. • Toothpaste – There are many toothpaste varieties that remove surface stains, but you can also find whitening toothpaste designed to do more. They contain chemical agents or polishes to remove the stains more effectively. Unlike a bleaching product, this won’t actually change the overall color of your teeth. It only removes the stains. It’s not abnormal to want a beautiful, white smile but you must do it with safety in mind. Consult first with your cosmetic dentist in Mentor OH about what options are best for you. This will ensure that everything is done properly so you can enjoy a healthy set of pearly whites. Did you know that you are at a higher risk of dental issues if you have diabetes? That’s why it is so important to protect your smile. Below, your general dentistry in Mentor OH put together some ideas to help you have a healthier mouth. It’s possible for anyone to suffer from dental problems, but those with diabetes seem to have more problems with their gums and teeth than healthier patients. Dental diseases begin with plaque buildup on the teeth. When left untreated, this plaque leads to tooth decay, gum disease, and swollen gums. High glucose levels, which diabetics struggle with, cause this plaque to grow at faster rates. That makes it more difficult for patients to maintain healthy teeth and gums. If you suffer from diabetes, you’ll want to follow these simple tips to protect your beautiful smile. 1. Start by telling your dentist that you suffer from diabetes. It’s important that they are aware of all health conditions. 2. Maintain a healthy glucose level as best you can. 3. Continue to practice proper oral hygiene while at home. This includes brushing your teeth preferably after every meal or at least twice a day. Then, make sure you floss once a day, preferably before bed. 4. Visit your dental office twice a year for a cleaning and checkup. The dentist might even want to see you more often since you have diabetes. 5. Ask your dental hygienist to show you proper brushing and flossing techniques to keep your mouth clean. 6. Contact the dentist if you notice any issues with your gums or teeth. 7. Stay on top of treatments that are needed. Don’t allow little problems to become larger. 8. Make sure that you and your primary care doctor have your diabetic medicine under control. The right medicine can go a long way to helping you maintain a healthy smile. If you have diabetes and are unsure of what steps to take, be sure to speak with us at our general dentistry in Mentor OH. Together, wecan ensure that your smile is protected for years to come. Gum lifting is otherwise known as gingivectomy. This cosmetic procedure improves the appearance of your smile by putting your gum line in the best position to show off those pearly whites. Here’s what you wanted to know about gum lifting. The treatment is mostly painless and quick. Since the gum around your front teeth is the most visible of a smile, that is generally where the procedure takes place. The dentist reshapes the gum area with a soft tissue laser that effectively seals the blood vessels to minimize any bleeding. Because of the way the procedure is performed, there are no stitches involved and you’ll feel little pain. Within 24 hours of the procedure, you should be able to drink and eat like normal. Within a week, your gums should be healed completely. If you do experience pain afterward, over-the-counter medications should alleviate the discomfort. Keep in mind that the recovery time, when combined with other cosmetic surgeries, might be slightly longer. The dentist will advise you on what to expect. 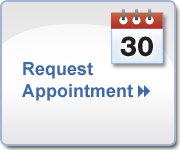 To ensure the best results, attend all follow-up appointments as requested. You’ll also want to abide by your dental hygiene instructions. This enables you to prevent future infections or gum recession. All surgeries carry the possibility of risk with them. Before moving forward with any treatment plan, it is always important that you understand the procedure, risks and recovery instructions. Take the time to speak with your dentist in detail about how gum lifting surgery might benefit your smile. This simple, cosmetic procedure might be just what you were looking for to improve the appearance of your teeth. It’s simple, virtually painless and offers you years to enjoy a healthy, vibrant smile. If you have any questions for your cosmetic dentist in Mentor, OH, please call Erieview Dental today at 440.357.1222. Dental fillings have been around for more years than one could count, but they sure have come a long way. Instead of those dark, metal fillings that once occupied the mouth, it is possible to have composite (white) fillings placed instead. This is great news for those who are self-conscious about their appearance and don’t want the world to know they have fillings. Here’s how to determine if you are a good candidate for composite fillings with the help of your general dentistry in Mentor, OH. Composite resins are free of metal. The dentist blends shades of material to make a perfect blend that matches your natural teeth. Once the procedure is completed, you and your dentist will be the only two people to know that you have fillings in the mouth. This filling type also supports your remaining tooth, which is an added benefit. It prevents your tooth’s structure from breaking due to temperature changes or wear. Small to medium-sized composite fillings have the potential to last up to ten years. This is equally as long as those metal fillings. In addition to that, composite fillings mean that more of your tooth structure remains intact as compared to amalgam fillings. Most patients make the ideal candidate for composite fillings. · Those who are looking for an attractive and long-lasting option. · Most patients that have a cavity. · When fillings are necessary to prevent the tooth from falling out or breaking. · Patients that suffer from sensitivity, pain or swelling from a cavity. Most patients find that a composite filling is actually their best solution. In fact, many people are replacing their old, worn out amalgam fillings with composite fillings when the time is right. There are a couple of downsides to composite filings that should be noted, although they don’t tend to outweigh the good. · There can be a mild amount of pain after the composite filling has been placed. It is nothing that an over-the-counter pain reliever won’t take care of. · Composite fillings are subject to stain from tea, coffee, and other substances. Make sure you care for your teeth properly to avoid this. If you think that you are ready to move to composite fillings, be sure to speak with either Dr. Greenfield or Dr. Thomas at the next appointment you schedule at your general dentistry in Mentor OH, Erieview Dental. Call our office today at (440) 357-1222 to pick the best date and time for you. Teeth have many purposes from helping you chew your food to making it easier to digest. Each type of tooth in your mouth has a different job and shape. These eight teeth are found in the front of the mouth. There are four on the bottom and four on top. They help you take bites from your food and are normally the first teeth a baby will get. The four canines next to the incisor often look like fangs. They are your sharpest teeth and get used for tearing and ripping of food. They will appear in the mouth between 16 and 20 months. These are often referred to as bicuspids and are used to grind or chew food. Adults have four on each side of the mouth. There are no baby premolars but the first set will arrive around the age of 10. After that, you can expect the second premolars in about a year. These will take the place of the first and second molars. Molars are responsible for grinding and chewing food. The primary molars appear between 12 and 28 months but eventually are replaced by the first and second premolars. The permanent molars won’t replace any primary teeth but come in behind them. This process starts around the age of 6 with the second set between the ages of 11 and 13. The third molars are more often called wisdom teeth. They are the final teeth to make an appearance in the mouth. They don’t tend to erupt until the ages of 17 to 20. Some people will never get third molars. Others will find that they cause issues and need to be removed. It is important that you never take your oral health or teeth for granted. Make sure you take the time to brush your teeth twice a day. You should also floss at least once. Eat a healthy diet and avoid smoking. See your dentist twice a year for a checkup and cleaning. Remember, a healthy smile makes for a healthy body and life. For high quality general dentistry in Mentor, OH, please call Erieview Dental at 440.357.1222to schedule your next appointment today. Sugary snacks are quite yummy, but they are bad for your body and your teeth. Indulging in cakes, cookies and candy can cause tooth decay. People who consume sugary snacks are eating various sugars all day including sucrose and fructose. In addition to that, the starchy snacks also break down into sugars in the mouth which lead to tooth decay. Bacteria live in the mouth but some of this bacteria will form a sticky material called plaque on the teeth. Putting sugar in your mouth causes the bacteria to feed on the sugar and turn into acids. These acids will eat away the enamel on your teeth. Before you start munching, ask yourself what is in the food. If it has a large amount of sugar, choose something different. If you must eat something sweet, do it after dinner instead of all day. Then, brush your teeth with fluoride toothpaste afterward. Low-fat choices are your best option. Consider foods such as fresh fruits, whole-grain crackers or raw vegetables. Choose something from one of the basic food groups for your best option. Low-fat choices like raw vegetables, fresh fruits, or whole-grain crackers or bread are smart choices. If you want to cut back on the amount of sugar your children are eating, it is up to you to change the habits. Cut back on the sweets that are offered in the home. Fill up your fridge and cabinets with healthy options that your children would want. Make sure that your child also visits Erieview Dental for Mentor, OH dental cleanings at least twice a year to head off any problems that could arise. When you go to the store, you see that they dedicate one side of an entire isle to all the toothpaste brands they sell. If you have a brand that you have stuck to, but have not had the best experience with, shopping through all these brands can be overwhelming. No one wants to waste time and money at the expense of their oral health trying out new brands. Firstly, ask your dentist what you should use. They will be happy to tell you what the best brand is, what they use, and what is best specifically for your mouth. There are brands available for people with certain problems, like extra whitening for coffee drinkers, or toothpaste with ingredients that are easier on the teeth for people with sensitivity problems. Usually, you can read what the toothpaste advertises it to be, and go from there. Most people recognize the classic name brands available. Any of these brands are great to use. But, if you want to be serious about your oral wellness, you can dial in an accurate plan for your mouth. Doing this will give you a better experience with your oral care products, and may even cost you less trips to the dentist. What Are All These Different Ingredients? Some ingredients are common in all toothpaste. Most will contain a mild abrasive that helps wash away bacteria and food particles. It also helps remove surface stains. Most will also contain fluoride, which remineralizes the teeth, and helps fight early tooth decay. You may see that your toothpaste contains potassium nitrate, which reduces tooth sensitivity. Stannous fluoride and triclosan help fight preliminary stages of gingivitis. Usually, whitening toothpastes will have more physical, silica abrasives that help remove more stains on your teeth. The ones that whiten sometimes also have a small amount of hydrogen peroxide, which counteracts the damage that popular staining foods and drinks cause. Knowing what is in your toothpaste is certainly a good thing. There are many natural ingredients that can help you achieve what you want with your smile. Toothpaste always evolves, so do not be afraid to explore the aisle at the store, because you now know what these ingredients are for, and what they do. Find what works best for you. There is no question about it, sports can often be dangerous. When enjoying your favorite activities, is important that you do everything possible to protect your teeth from injury. There are four categories that are generally used to measure the risk of injury. · Age – Most often the younger children will tend not be injured as often. Most of the time, sports injuries occur in the high school, collegiate or adult players. · Dental Anatomy – If the front teeth tend to stick out, often referred to as an “overjet”, it is more common that this person could experience a sports injury. · Gender – The difference between the two sexes isn’t huge, but men still seem to get injured slightly more than women from sports. · Activity – Sports can generally be categorized by low and high-velocity non-contact sports, collision sports and contact sports. These categories help to understand which ones offer more chances for injury. The first step toward having a healthy set of teeth is to take precautions to prevent injuries. There are several ways to tilt the odds that injuries will be less prevalent. · Mouthguards should be used whenever a sport is played that involves a ball, puck, stick or contact with others. They should be used during practice and the games. · Invest in a custom-fit mouthguard for the best protection. This can only be done by visiting your dentist. Take good care of your teeth to ensure they are strong and healthy. All of these tips, when used in conjunction with one another will help to protect your teeth even when you are engaging in your favorite sports. If you have more questions or concerns regarding mouth protection, be sure to set up an appointment with Erieview Dental, your top cosmetic dentist in Mentor, OH. Call our office today at (440) 357-1222 to schedule your visit. Ultimately, the answer to how often you should floss is: it depends. Not always the answer someone wants to hear when searching the internet for a definitive answer or solution. Ultimately, there are several answers! If you have perfectly straight teeth (and wear a retainer to keep them this way) and you have great genes for mouth bacteria and plaque production, you may find that your dentist recommends only flossing once every other day. It is important to note that you should only do this on your dentist’s recommendation. You cannot decide on your own that your mouth is the healthiest, most ideal environment for not needing daily flossing. Until you get a green light from your dentist to reduce your flossing regimen, stick to the standard recommendation: once per day. This is the standard recommendation for 90% of patients. Flossing daily ensures that all food particles and plaque are removed, disallowing bacteria to burrow into the tooth causing cavities and tooth decay. You will also stimulate the gums and ensure that there is healthy blood flow and circulation. This helps the gums stay firm – which is what healthy gums should be. Since flossing once daily the go-to answer for most cases, the bigger question may be – when should I floss? You can floss in the morning, when your routine may be a bit more involved. However, flossing after your nightly brushing may be a better alternative. When you sleep, you won’t be talking or drinking water or doing anything that might arbitrarily clear out food particles and bacteria. So, it is best to get the freshest mouth possible at night, just before bed. If you have crooked teeth or gingivitis, it is imperative that you floss once in the morning and once at night. This is important because if you have crooked teeth or gum disease, your mouse is more prone to cavities, tooth decay, and gum recession. Be sure to ask your dentist if you should be flossing twice a day. Most people have been watching a television show that breaks for commercials, and on these commercials, that would be advertising some dental product. In this product, the announcer would state that “4 out of 5 Dentists recommend” and enter the brand name. These types of commercials are going strong, ranging from new toothpaste on the market to sugarless gums that people can purchase. However, what does this mean? 1. Your brain automatically thinks that the product, whether it be a toothpaste or gum, is going to come recommended by 90% of dental professionals. 2. This is what most advertisers want you to think. However, the reality is slightly skewed. 1. The best knowledge of your teeth and what is truly going to work for you. 2. Whether this is something that you should consider. 3. They may even have recommendations for the result that you are wanting with this new product, without having to resort to buying this new product. Remember, your general dentistry in Mentor OH is the opinion in which you should trust. The commercials that state four out of five dentists recommend is not as informative as most people think! 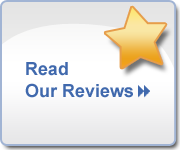 To learn more and to see what we recommend to improve your smile, call Erieview Dental today at (440) 357-1222. A dentist is just as important in your life as your doctor. Dentists can be one of the first people to notice that something may be wrong thanks to the looks of your gums and teeth. With this being said, there are several things that your dentist in Mentor OH wants you to know and remember. Dental checkups are a must! Be sure to change your toothbrush! These ten aspects are often forgotten or ignored by patients. However, this could be one of the biggest mistakes that a person makes. Why is this? Why Listen to your Dentist? - Cavities can easily be fixed and could ultimately save your tooth! A dentist’s main goal for patients is to ensure that they have the healthiest teeth and gums possible. When a person does not listen to their dentist, they are taking their own health in their hands. This could be disastrous. Many people find that if only they had gone to their dentist regularly, they could have avoided pain, costly procedures and the like. Therefore, you must visit your dentist in Mentor OH routinely. Do not skip these appointments. This is the time that your dentist needs to spot problems and give preventive care! Call our office today at (440) 357-1222 to schedule your visit. Tooth enamel is known to be the hardest part of the body. It is made of a semi-clear, hard outer layer that protects the teeth from wear and tear. Enamel is also responsible for protecting the tooth from the effects of extreme temperature from the cold or hot foods and drinks that you consume. Tooth enamel also fends off the chemicals and acids that may lead to damage of the teeth. ● Sweet Foods: Bacteria in the mouth usually thrives on sugars. This produces acid that can eat away at enamel. ● Sour Candy: Sour Candy contains high levels of acid that can be harmful to your teeth. ● Dry Mouth: Saliva aids in the prevention of tooth decay as it washes away bacteria and leftover foods. "Go wash your mouth out with soap!" This expression dates to the 19th century and well into the 20th century, included in some of the most famous movies like "A Christmas Story." It had to do with punishing those guilty of such things as profanity, lying, verbal disrespect or quarreling, and tobacco use in young children. The idea was that the taste and after-taste of soap would serve as a deterrent to such actions. There are two main types of mouthwashes or oral rinses: cosmetic and therapeutic. The cosmetic types are merely breath fresheners with little power to combat plaque and tooth decay. Antiseptic mouthwashes help fight bad breath as well as kill germs that bring plaque and tooth decay. These are fine to use in conjunction with brushing, flossing and visiting your dentist for your routine dental check-up twice a year. Another option is using fluoride toothpaste while you brush and then swishing that toothpaste in mouth with plain water to rinse. It is the rinsing and ridding the mouth of the bacterial plaque that lies in hiding that matters. There are countless types of mouthwashes that can benefit your smile - some that alleviate dry mouth, some that are simply to freshen your breath, and some that work together to battle tooth decay. Don't be afraid to ask your general dentistry in OH about the type of mouthwash you think you should use to help improve your oral and dental health! Call our office today at (440) 357-1222 to schedule your routine dental cleaning. Maintaining a good oral hygiene is not only a part of personal care but also helps in preventing bad breath, tooth decay and gum diseases. Maintaining good oral hygiene helps you keep your teeth when you get old, since some patients are more likely to suffer from tooth loss at a later age. Tartar builds on the teeth over time, the teeth have an ability to self-clean the surface by the washing action of saliva. But often sticky food substance results in bacterial accumulation and formation of a sticky, colorless layer called the plaque. The plaque if not removed becomes hard by using calcium from the saliva and is referred to as calculus, which appears as yellowish hue on the tooth surface. As calculus forms between the tooth and the gum tissue, inflammation of the gum occurs which is known as gingivitis. As a result of this inflammation, the soft tissue or also called the gum tissue pulls away from the tooth surface forming a pocket which is infected with bacteria. The brush often fails to remove the build up of calculus and hence ultrasonic scaling procedure is required which is the dental cleaning. Routine cleaning by brush only focuses on the tooth surfaces which are above the gum line. The scaling and root planing (smoothing the root surface) procedure removes plaque, tartar and bacterial toxins from surfaces below the gum line, hence clearing the pockets and allow healing of the gum tissue. Scaling and root planing procedure are generally carried out without anesthesia, but sometimes to keep the patient comfortable, the dentist numbs the area before the procedure begins. Depending on the situation, the dentist may also apply fluoride as an oral medication to that area. Without treatment continues to build up and release toxic waste products that can result in swelling and bone resorption. Scaling and root planing removes the source of infection and helps gum heal and tighten around the teeth and gives you back your healthy smile. We want all of our patients, no matter what age, to have the best and healthiest smile they possibly can. And with the help of your cosmetic dentist in Mentor OH, we can do it! Call our practice today at (440) 357-1222 to schedule your appointment or consultation.